I am beside myself with excitement! I have joined a very interesting photography challenge hosted by Redesigned by M and this is my first entry for it. The challenge basically has two objectives (please pardon my academic vocab. Been writing too many assignments! ): to develop styling skills for my photo shoots and to get to know my camera better so that I use it to its fullest extent. I got introduced to this challenge by another amazing blogger and supermama, Anjana of At the Corner of Happily Harried so I have to thank her for it. I wish I could say I have been clicking away happily, preparing for the challenge for the past two weeks, but then, I would be lying. I have been trying to get my never ending load of assignment done before end-of-term exams happen this week and whatever time I have after that has been solely dedicated to my overactive baby girl (who by the way, looooooves chewing on my fingers lately). So I looked at the calendar yesterday, freaked out when I realized that I have done nothing for the challenge and decided to do the photo shoot early today morning. My extensive research on Pinterest did not come to my aid because neither does my bedroom have any brilliant morning light pouring through the windows nor does any other part of my house. The balcony, my eternal studio, was my only other option since I was too tired to venture out of the house. And as always, the location did not disappoint. This particularly helped because according to the rules of this challenge, no editing can be done except for edge cropping and all photographs must be taken within the previous month of submission. You can read more about the challenge here. Although giving my beloved Photoshop a rest was cold, I woke up to the awesome stuff my camera could do. I played around with the aperture, exposure and ISO, and imagined myself back in my Undergrad class, studying photography with a manual (yes, completely manual) SLR camera that belonged to Appa. So this entry, as all my entries on my blog are, is about food. 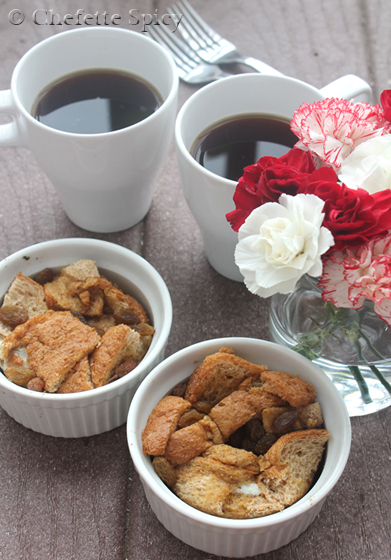 I made a quick Microwave Cinnamon Roll Fake-out French Toast and coffee. I will not tell you who had what and what was discarded but the French Toast, which was inspired by a post on Prudentbaby, came out so well! If you need the recipe for my version, give me a holler. Not the brightest of the pics, no? I guess that’s one of the epiphanies I was supposed to have by doing this challenge. Next month’s theme is Bedroom. Hey, do any of you good people want to rent me your bedroom for one morning or do I have to bite the bullet and clean mine?! 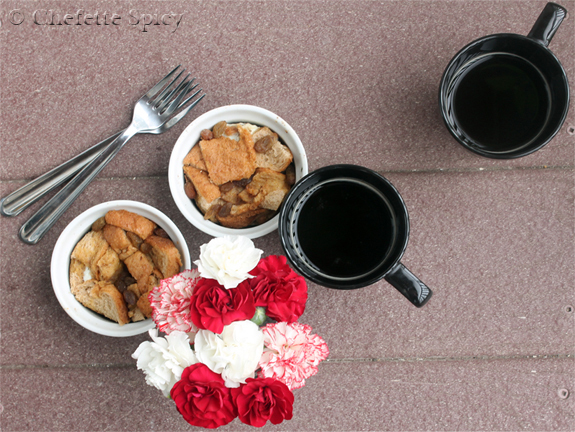 Categories: Breakfast, Food, Morning, Photography, Photography Styling Challenge | Tags: challenge, cinnamon roll, coffee, flowers, food, french toast, morning, photography, photography styling challenge, styling | Permalink.